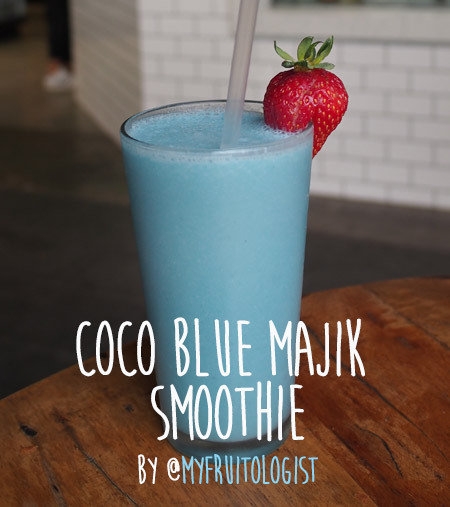 Blue Majik is offered in juice bars, stores and cafes around the world. We ask a gourmet grocery shop in Australia, a cold-pressed juice service in Hungary and a juice bar in Turkey why they love this Majikal superfood! 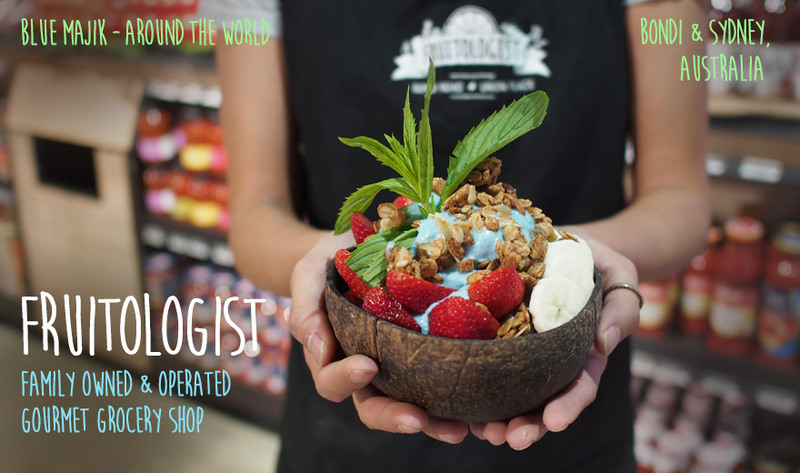 Fruitologist is a gourmet grocery shop with locations in Bondi and Sydney, Australia. 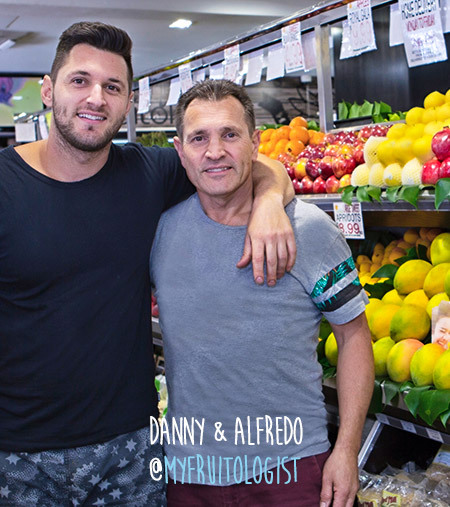 Family owned and operated by Alfredo and Danny, they share their passion of bringing customers the best. We check in with Danny to find out what’s so special about Blue Majik. How did Fruitologist get started? 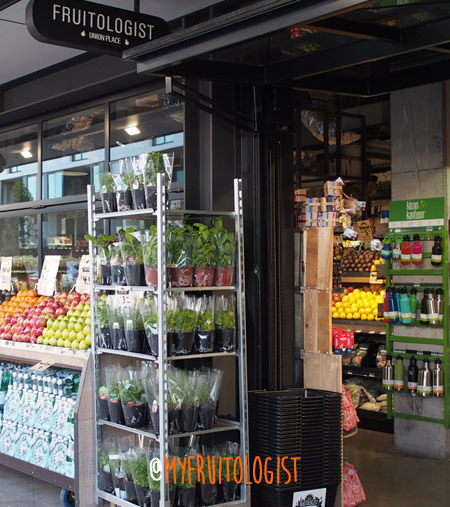 Fruitologist itself started in Bondi about 35 years ago as local greengrocer. The family took over in 2005 and I (Danny) joined the team in 2008. 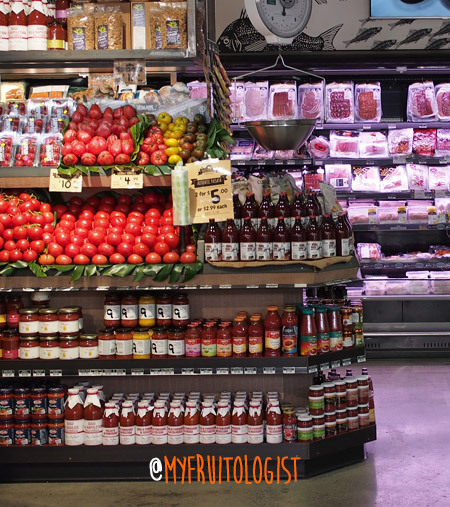 Started as a local fruit and veg store with some basic groceries and has evolved into the two stores we have now, which stock fruit & veg, deli products, gourmet groceries, health food products, cafe, juice bar and more!! Tell us about your store, locations and customers. Fruitologist Bondi Between Bondi Junction and Bondi Beach. This store gets the best of both worlds being close the iconic Bondi Beach and with the convenience of shopping and transport of Bondi Junction. Fruitologist Union Square/Rozelle is on the Balmain peninsula just minutes walk away from the bay run and shopping strip on Darling St. Both our stores follow the same ethos as to deliver the highest quality products we can find and support the local customer market by keeping the shopping experience personal, deliver a superior service in any way we can. A lot of our customers are locals who have been shopping with us for years and know the staff on a first name basis. When did you start carrying Blue Majik? We started carrying Blue Majik about 2 and a half years ago. We were one the first in Sydney to do so. How do you offer Blue Majik? We have 2 main offerings for the Blue Majik. 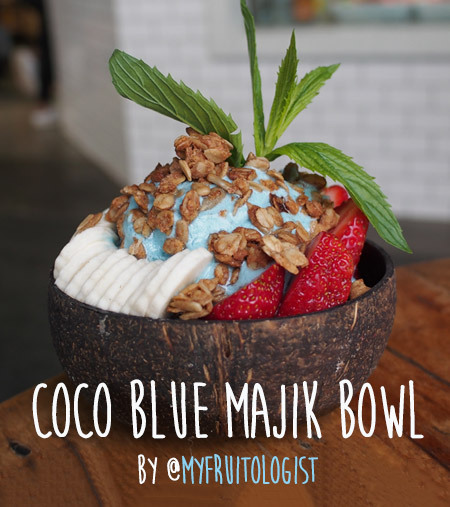 The first is our Coco Blue Majik Smoothie and the second is our Coco Blue Majik Bowl. We also offer it has an add into our fresh juices and smoothies. Why do your customers like Blue Majik? I think the main thing customers like about Blue Majik apart from the nutrient value and health benefits, is the colour. When we serve up our Blue Majik products they are always in awe of what it looks like. To keep constantly evolving in the fresh food and healthy eating industry as it grows bigger every day. 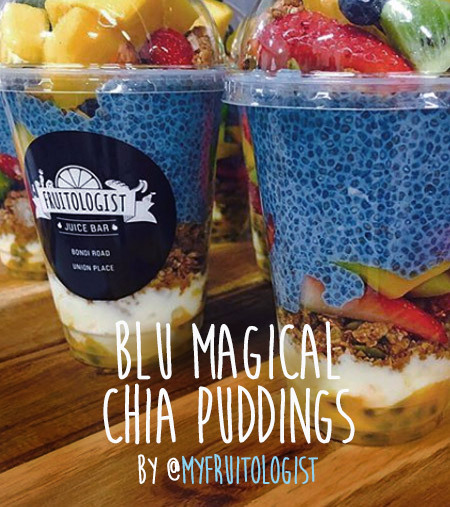 Enjoy a fabulous Blue Majik smoothie or bowl next time you’re in Australia! "I think the main thing customers like about Blue Majik apart from the nutrient value and health benefits, is the colour." 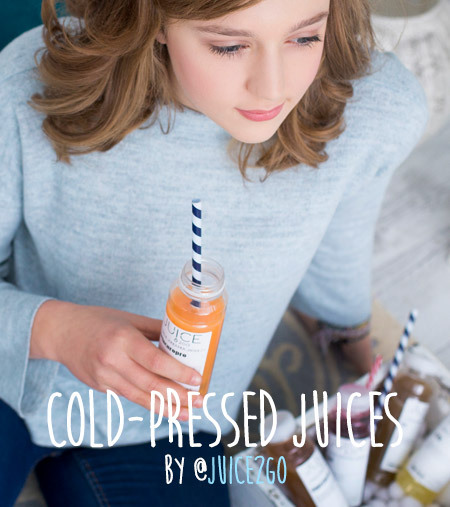 Juice 2 Go is a juice delivery service in Budapest, Hungary offering cold-pressed juices. 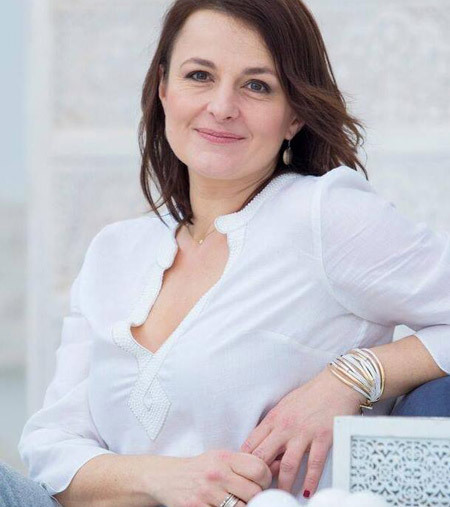 We ask owner Maria why her customers love Blue Majik. How did Juice 2 Go get started? I have a health coaching practice and I am also a certified natural juice therapist and a culinary nutritional expert. My clients are very busy professionals, many of them are in the entertainment business and simply have no time to make juice themselves. Tell us about your juice and customers. Our juices are very simple, we use mostly local produce. We have a café line and a therapeutic line. The café line is delicious. Of course I try to make the therapeutic one as tasty as possible also, but that is not the main priority - however I always listen to the needs and likes of my clients, not just in terms of taste. I talk to them a lot but often I do not meet them for months, just deliver the juices to a gym, reception of the theater, wherever they need it. They are very busy. I use Blue Majik in my therapy clients' juices. They know that I would never put anything artificial in a juice, so I've never been questioned about the colour. :-) Certainly they think that the colour is pretty, unique and they love that it is very good for them. So far none of my clients have caught the flu :-) and apart from strengthening their immune system I use it for endurance as well as an anti-inflammatory, antioxidant. 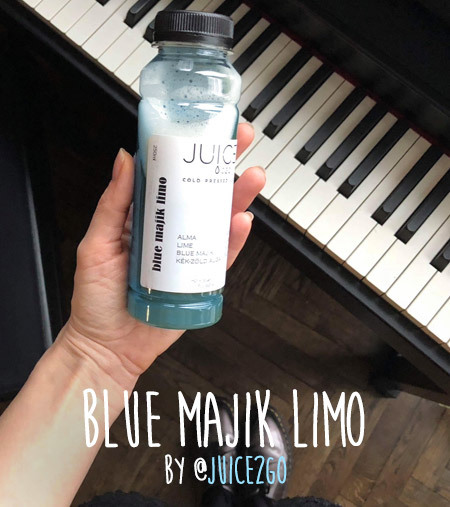 It is primarily made up of phycocyanin which is protecting the liver and the kidney during a detox, so our clients who started the new year with a juice fast all got juice with Blue Majik. 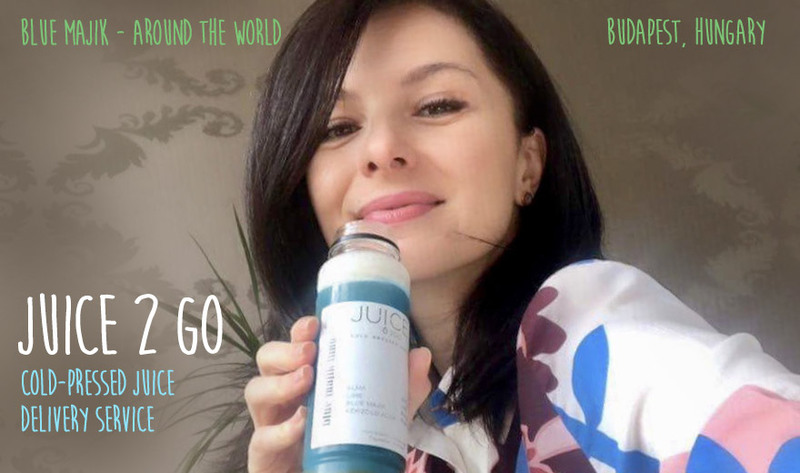 What's next for Juice 2 Go? Very soon we are going to launch our website, and we are currently expanding our operations into Romania. 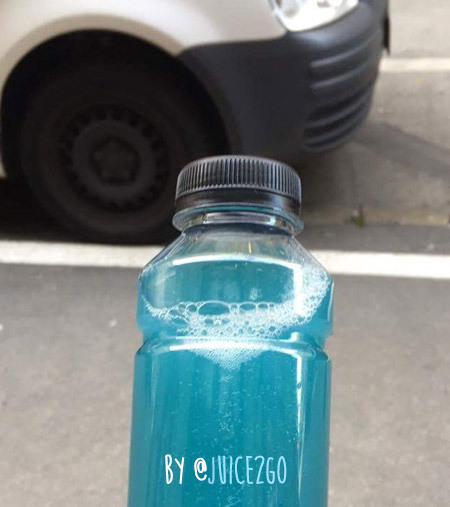 Tell your friends and family in Budapest about Juice 2 Go! 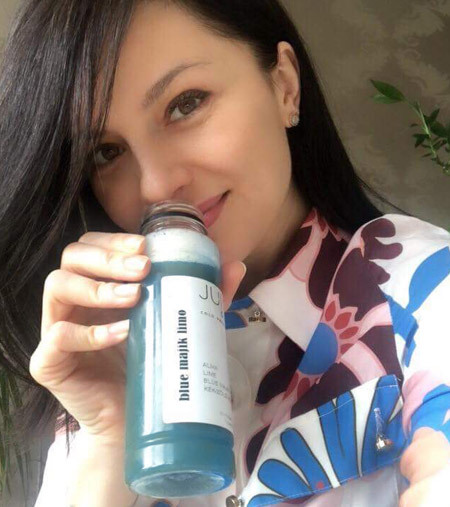 *Famous Hungarian singer, Zséda, shown above drinking Juice 2 Go. "...apart from strengthening [my clients'] immune system I use it for endurance as well as an anti-inflammatory, antioxidant." 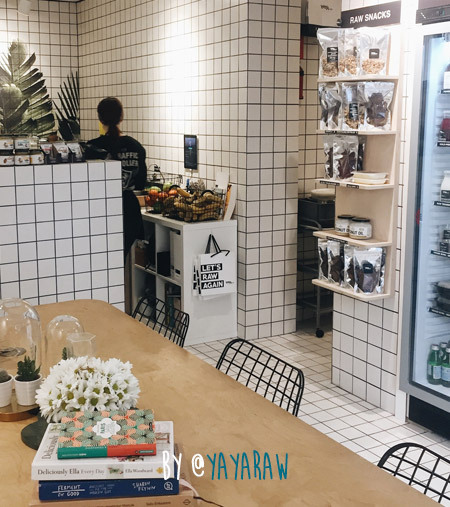 YaYaRaw is located in Izmir, Turkey and offers cold-pressed juices & smoothies, raw/plant based foods & desserts. 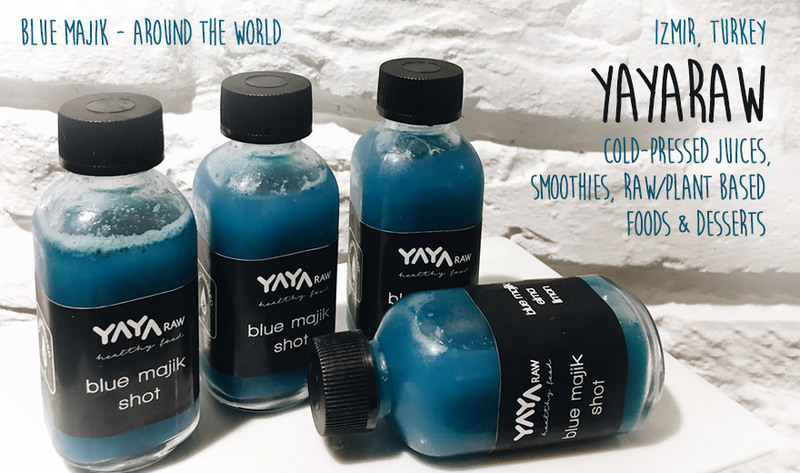 We ask owner Yasemin why her customers love Blue Majik. 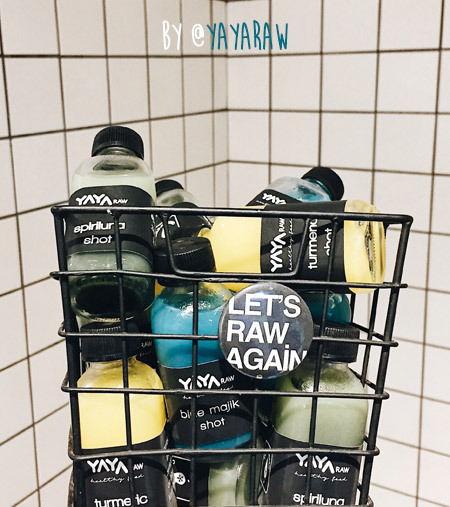 How did YaYaRaw get started? YaYaRaw was first founded in Alaçatı, one of the most popular seaside resort towns of the Eagean part of Turkey, in the owner Yasemin’s family hotel PereMere Alaçatı in April 2016. 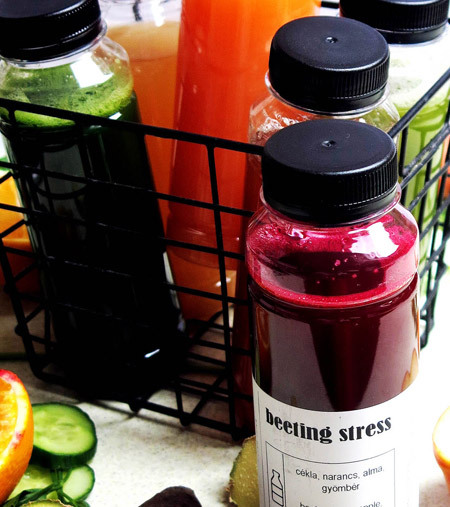 We are producing cold pressed juices and power shots freshly for our customers and also we’re offering them some detox programmes with our cold pressed juices. One month ago, we’ve started using Blue Majik powder in our kitchen. We’re also using superfoods in our kitchen such as Hawaiian spirulina, maca powder, and hemp powder. We are using Blue Majik in our raw cheesecakes. 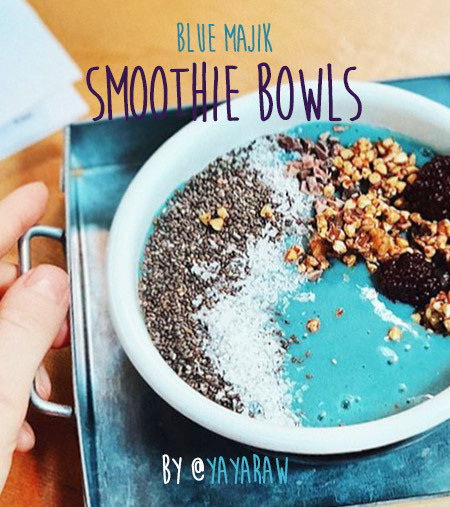 We have produced a new power shot with Blue Majik and also we are making Blue Majik smoothie bowls. Our customers like Blue Majik so much, because of its advantages and also because of its beautiful color. 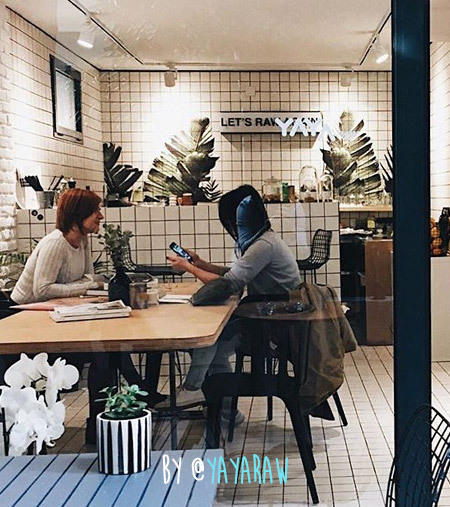 We’re planning to have workshops at YaYaRaw for our customers who are willing to learn about raw food and healthy food recipes. 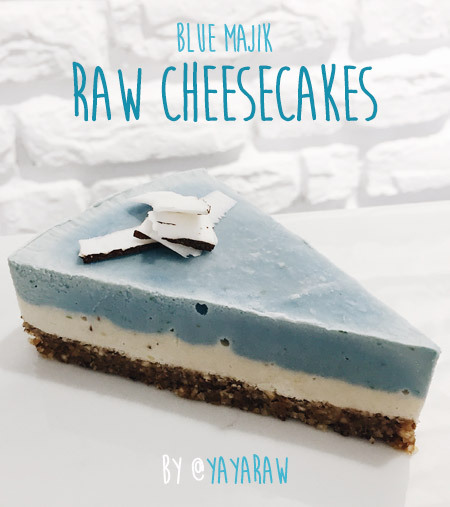 When you're in Izmir, stop by and try a slice of that Blue Majik Raw Cheesecake! It looks amazing! "We are using Blue Majik in our raw cheesecakes. 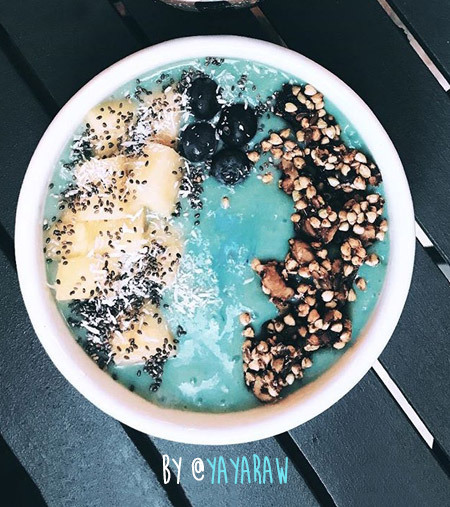 We have produced a new power shot with Blue Majik and also we are making Blue Majik smoothie bowls."